Since 1974 Ultrasun International has been a pioneer in responsible tanning. 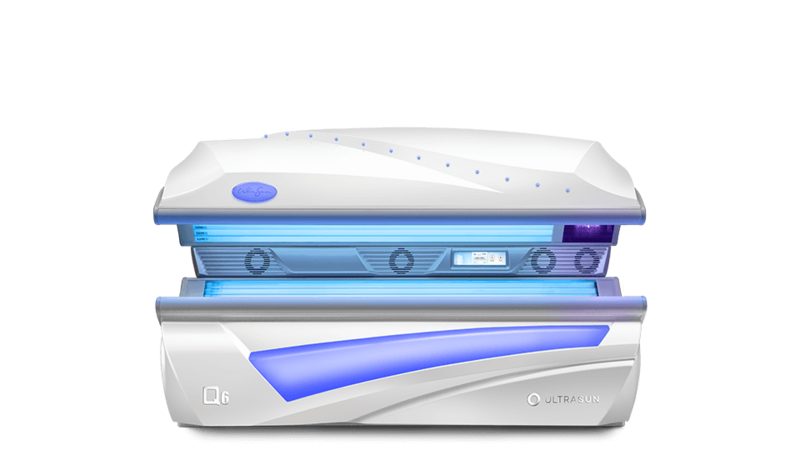 We provide professional tanning devices to centres who want to enjoy the Recharge Yourself experience: offer warmth and vitality that sunlight emits. We achieve this with our three different product ranges of professional tanning equipment. 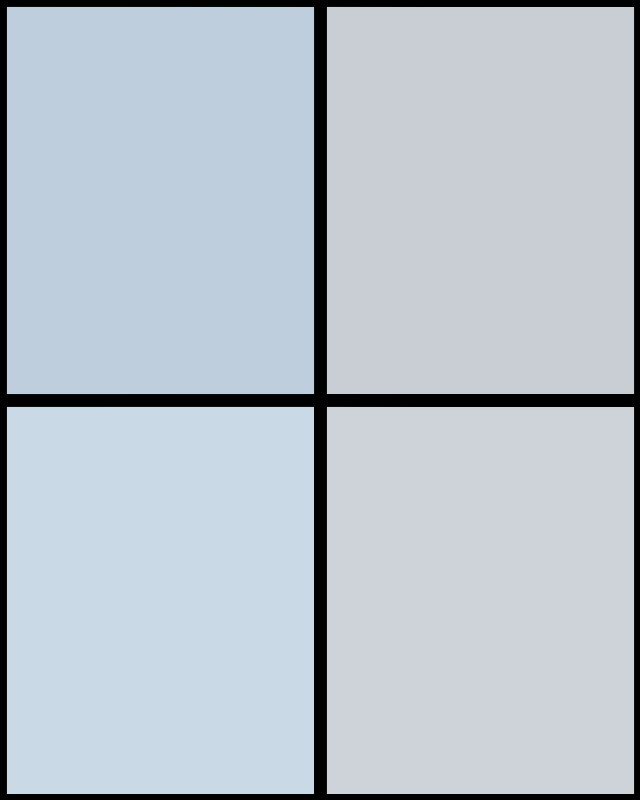 The Q-series represent the lay-down devices or the sunbeds. From the Q6 entry level bed up to the ultimate recharge and relax Q30 device. These lay-downs can be equipped with features you prefer by adding Music Pro, Aroma & Breeze and Airconditioning. Experience tanning in the most luxurious way. 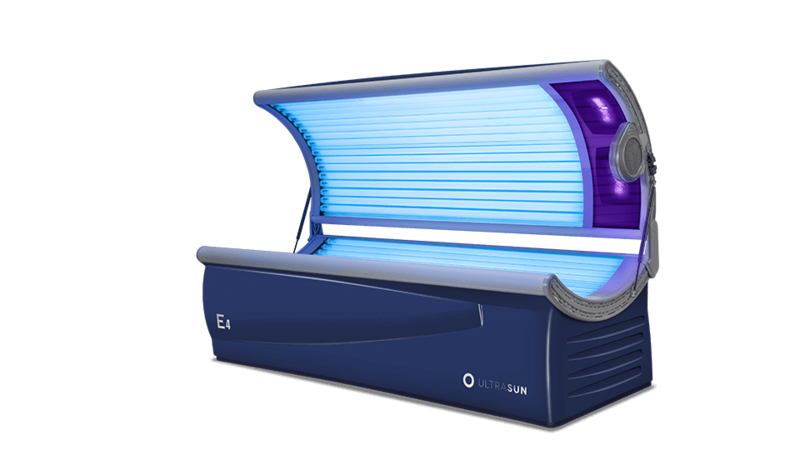 most powerful tanning machine in the world! 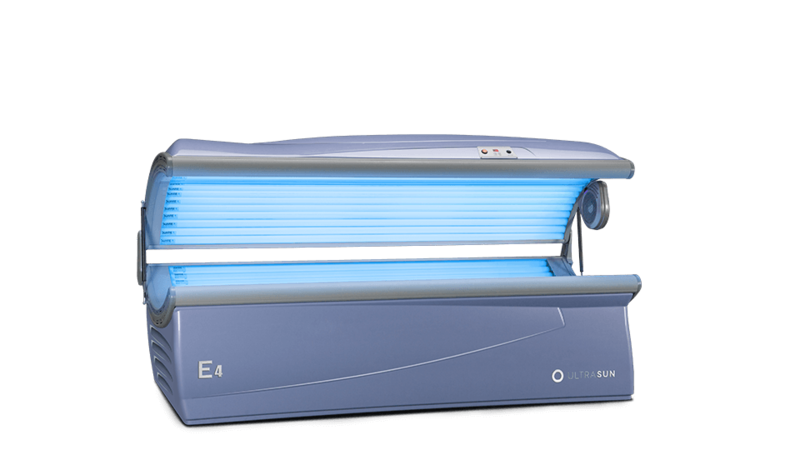 A deluxe tanning experience is virtually guaranteed with the Ultrasun Q30. 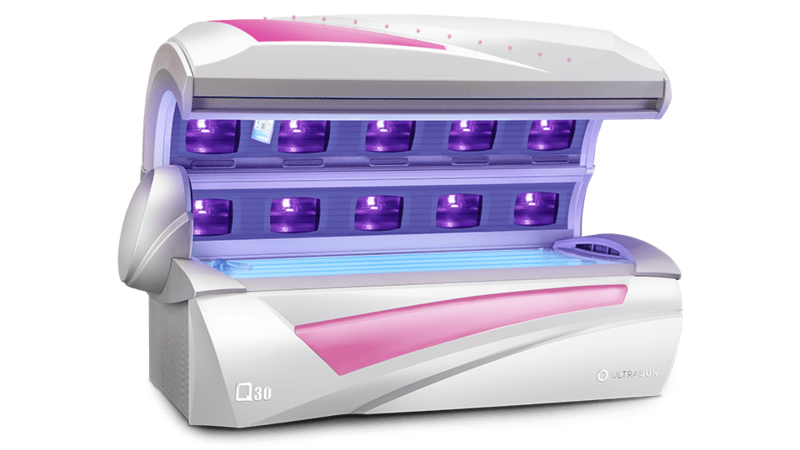 Our ultimate recharge and relaxation ultraviolet device will make a real statement in your centre. From standard IQ Touch Control to its high-end performance, the Q30 is the most luxurious way to take care of your well-being. The Q22 will look exceptionally stylish in any room at your centre. It’s packed with many features that will give an everlasting impression. You can pamper your body and mind with its sensory features such as an entertainment system, aromatherapy, water breezes, and soothing wellness sounds. The Ultrasun Q18 has an unquestionable high-quality and amazing design that never goes out of style. That’s one of the many reasons why studios love the Q18. And like most of our devices in the Q-series range, the Q18 comes in two lamp configurations: Magnum Power and High Power to better suit your needs and wishes. 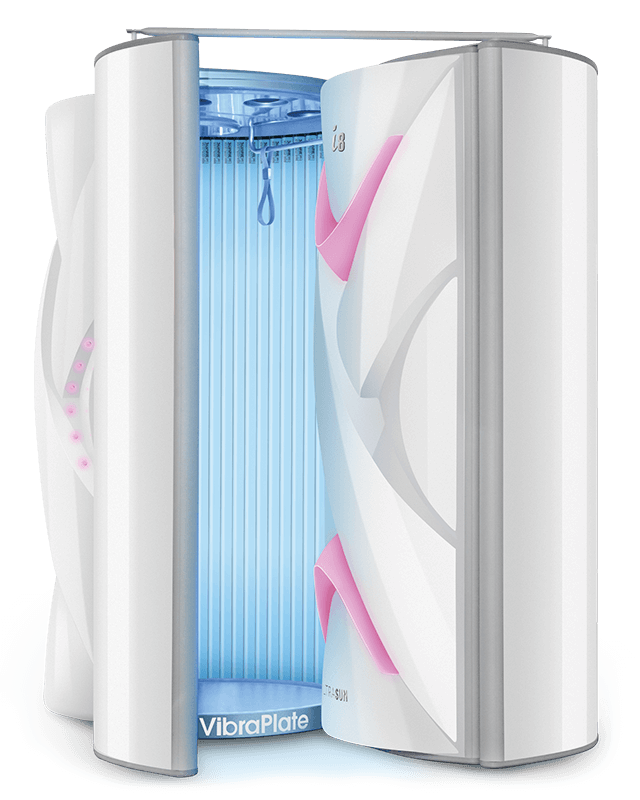 The stylish and unique Ultrasun Q14 delivers a complete wellness experience in a mid-size package that’s perfect for your centre or salon. 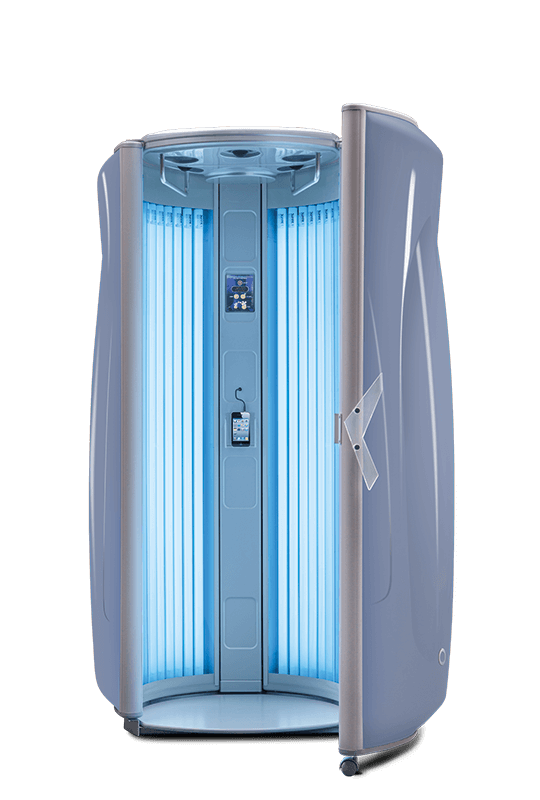 Fully Recharge Yourself in the Q14 by enhancing the tanning experience with the Aroma and Breeze system. 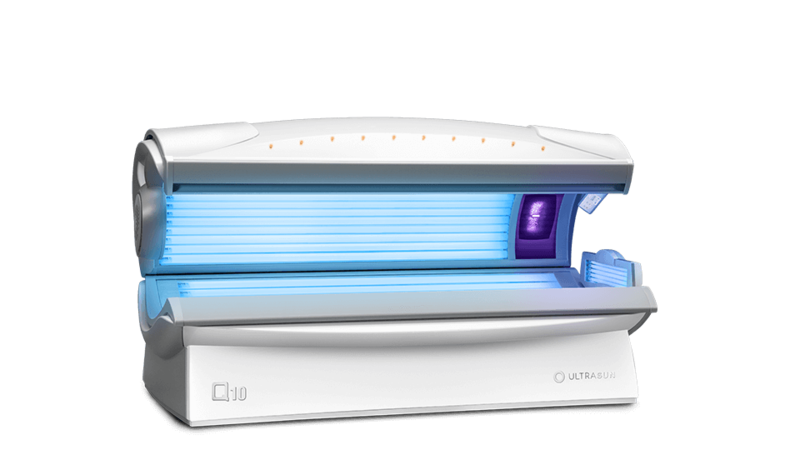 The Ultrasun Q6 is the perfect starter model for compact tanning studios, but also beauty, health and wellness centres. Its standard features are anything but basic thanks to its IQ Touch Control, BodyCooler and Rainbow Manager. 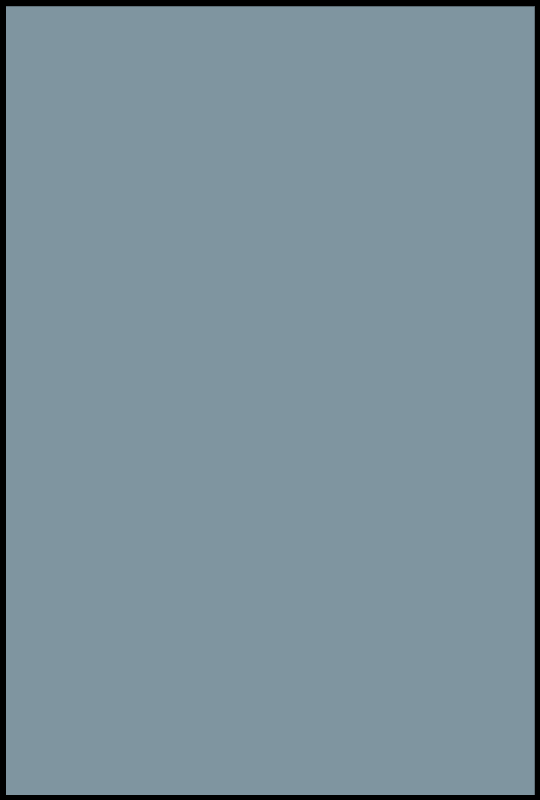 The Q6 is an entry model not seen before in its range. The i-series are the stand-up models Ultrasun offers. The world’s mostly sold and the world’s largest stand-up make part of the i-series. 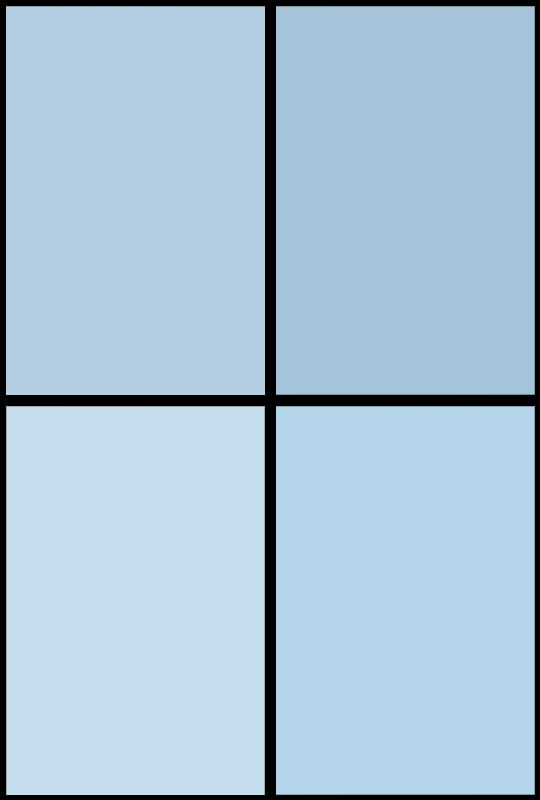 This range is completed with a lockable Changing Cubicle which’s available for both upright devices. 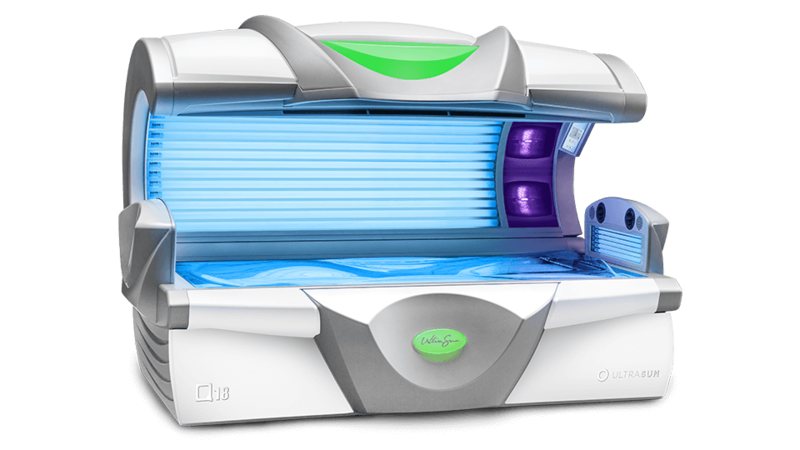 With a multitude of features such as the VibraPlate, everything’s possible with these tanning devices. largest stand-up in the world! The largest upright tanning experience in the world. You can achieve a seamless tan all over your body while also having enough room to move around and relax. Plug in your mobile to listen to your own while enjoying a relaxing session. Premium features include a built-in air-conditioning system guaranteeing a fresh and exhilarating Recharge Yourself experience. An exhilarating experience is virtually guaranteed in the world’s best-selling stand-up. 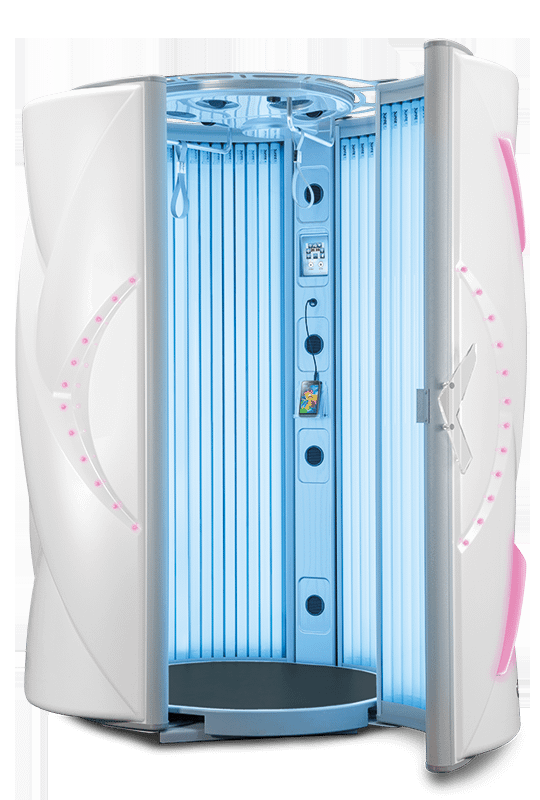 This innovative tanning device offers space and comfort for freedom of movement, body toning and a perfect all over tan. You can re-energize with the i8’s aromatherapy features, which sprays a distilled mist of water and fragrance. 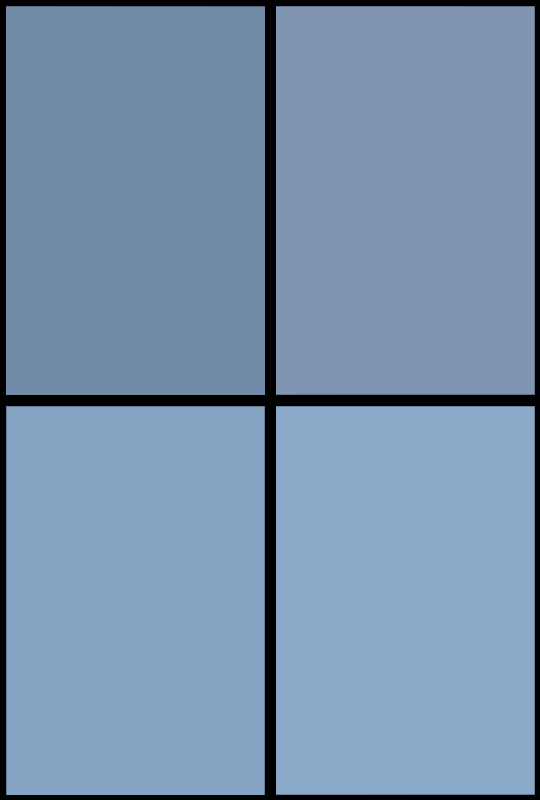 The E-Series represents our basic entry models, or what we prefer to say: our timeless classics. 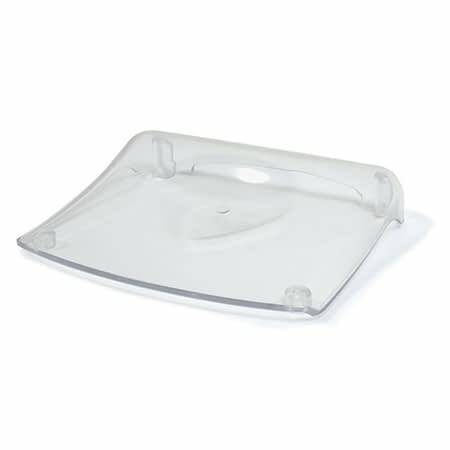 These lay-down and stand-up tanning devices are of proven quality and therefore still high in demand. 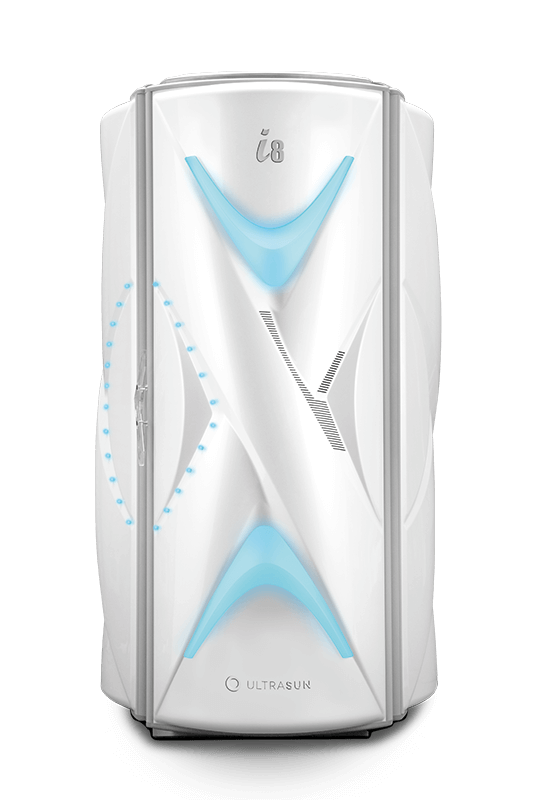 Available in three colours – Dream White Metallic, Silver Blue Metallic and Xtreme Orange Metallic – this back-to-basics stand-up does what it has to do: give you the perfect tan. Whether you want to prepare for the summer, increase your Vitamin D levels, or enjoy the warmth after a workout session, all is possible with the Ultrasun E6. 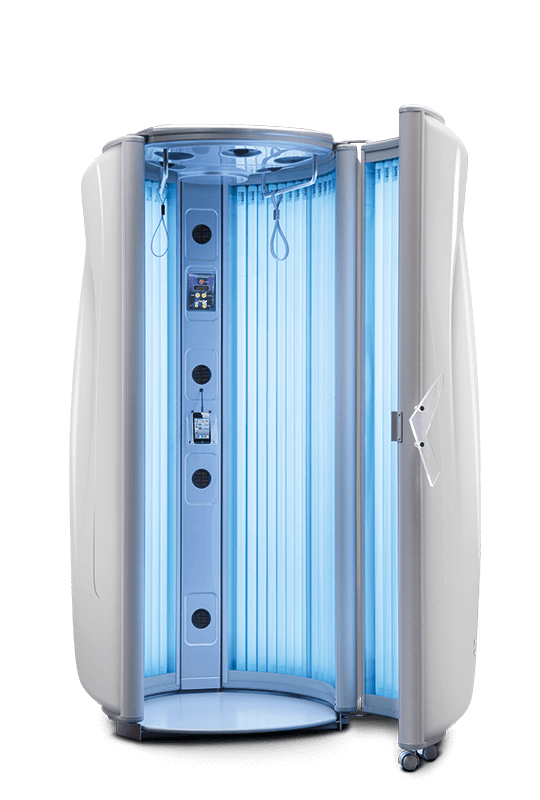 Our Ultrasun tanning machines offer countless benefits, but you can always enhance the experience with several accessories. From the FreeStayl Selftanner to the Sunfit Dreamer these accessories make the perfect companion to any Ultrasun tanning device. 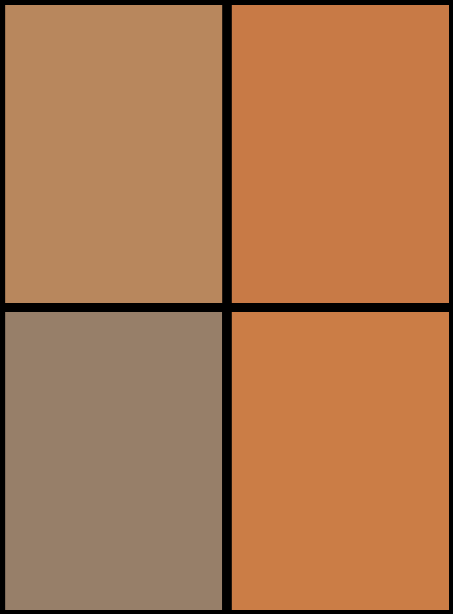 Your skin is as unique as you are! With FreeStayl – Choices of Darkness – you can treat your skin in the highly individual way that it deserves. By just turning the FreeStayl scale you can decide exactly how much of the tanning accelerator to apply. Tan and nourish your skin simultaneously with cocoa butter, black tea, DHA and Moringa extracts for extraordinary results! Your skin needs an extra dose of love and care. Thankfully, there’s the Sunfit PowerBronz Lotion that offers both an excellent even tan and intensive care for the skin. The lotion has several ingredients, including L-tyrosine, Vitamin E, panthenol and liposomes for the ultimate tanning experience, with emphasis on high-quality body care. Safety and Health lead the way for Ultrasun, that’s why we’ve developed the Sunfit UV Goggles. 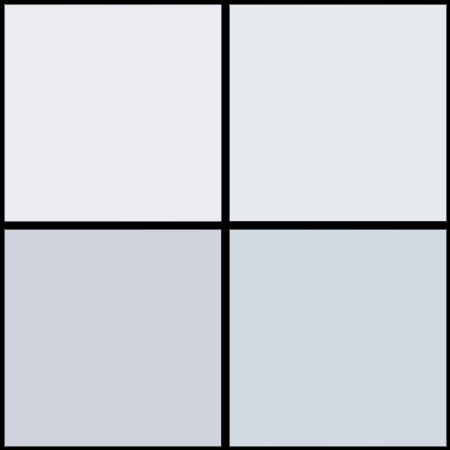 The goggles protect your eyes during a sunlight therapy session as well as outside in the natural light. 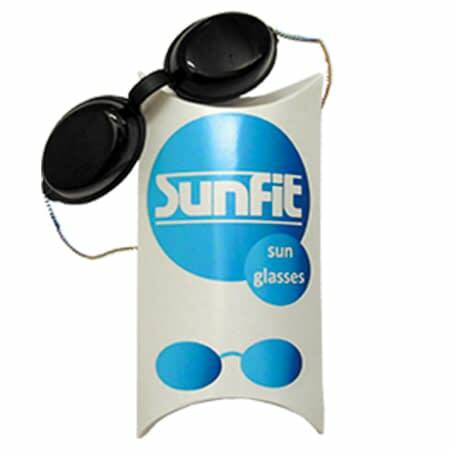 The Sunfit UV Goggles meet strict FDA and EU standards for UV Protection. The Sunfit Dreamer is a headrest which gives the user great comfort while enjoying a Recharge Yourself session. The headrest is compact, comfortable and easy to clean! 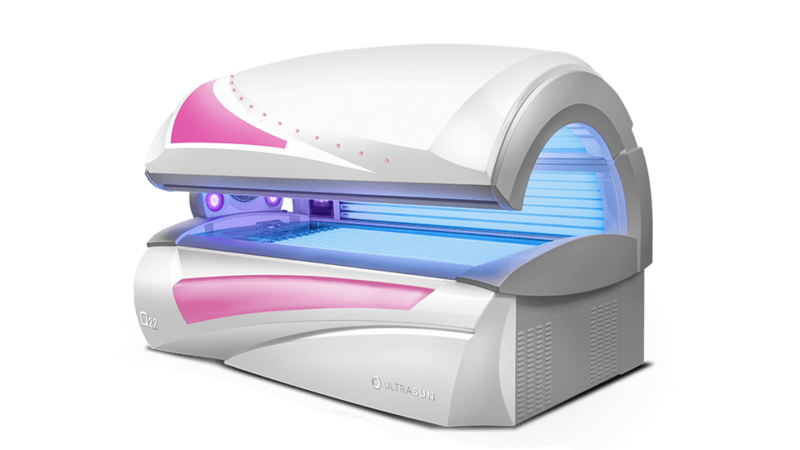 Not only that, the Dreamer is made out of the same acrylic as the Ultrasun laydown tanning devices and as such can handle the UV light emitted from the device. 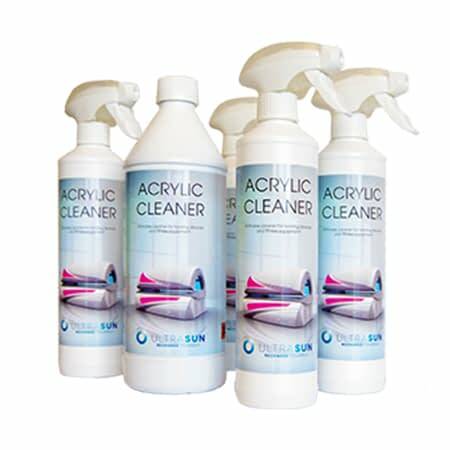 The Acrylic Cleaner is a cleaning agent for the Ultrasun tanning devices. Moreover, it also is the perfect cleaning solution for synthetic floors and water-resistant surfaces, which leaves any surface clean with a long-lasting fresh scent. The Acrylic Cleaner set comes with 1ltr concentrate and 4 spray bottles. 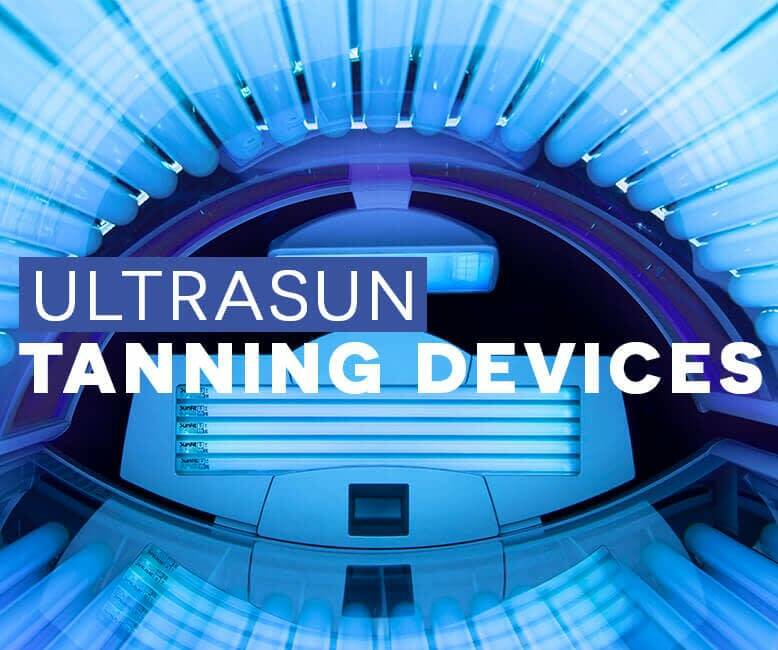 Manage the Ultrasun tanning devices with ease thanks to these control systems. 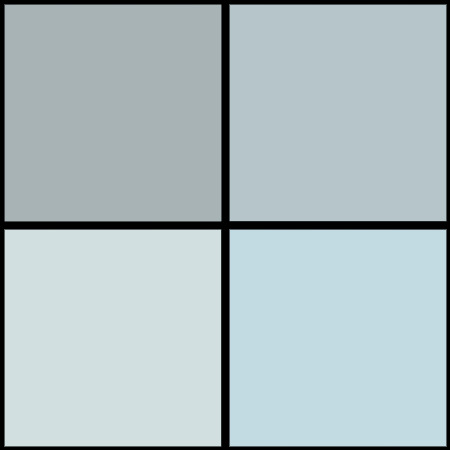 With these software and payment devices, you will have insight on what options your clients prefer and of course control who can use the machines. 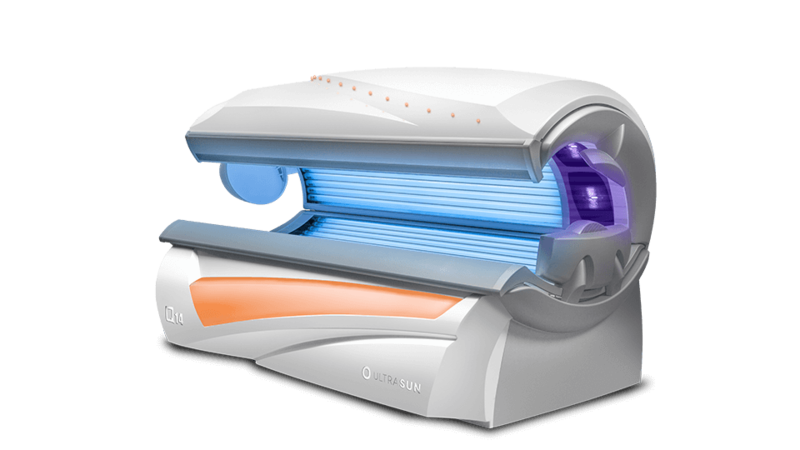 Tanning Devices equipped with the IQ Touch Control can be connected to the Ultrasun Manager. 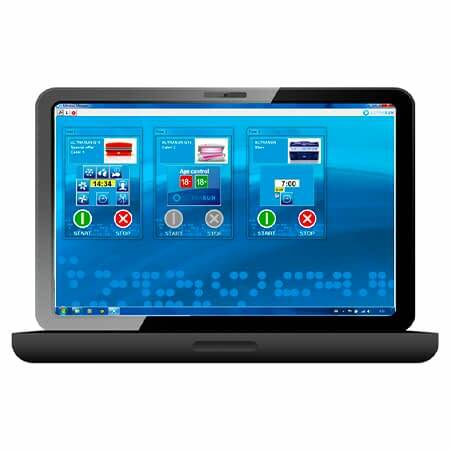 The system allows you to control up to 8 devices from a distance with a Windows PC, laptop or even tablet. 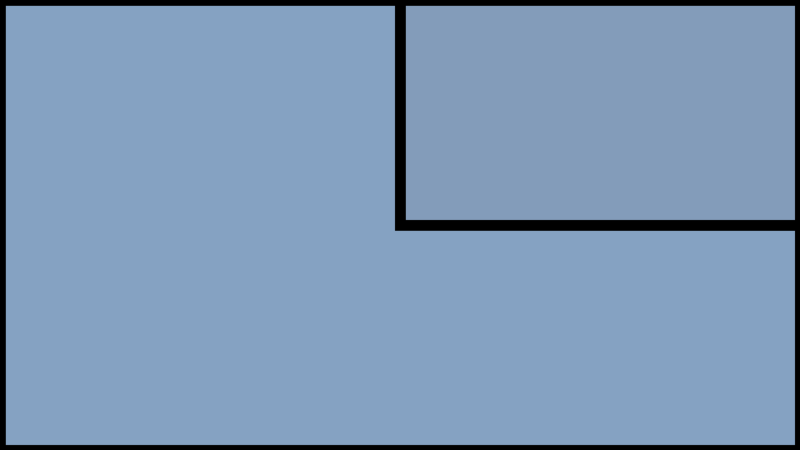 The Ultrasun Manager directly connects with the IQ Touch Control. 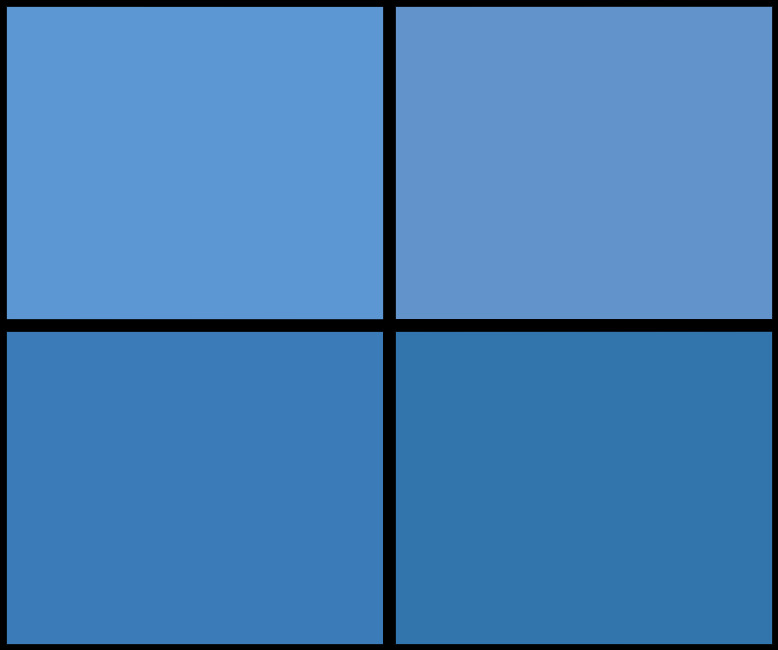 Meaning when users make changes in the settings window – Music or VibraPlate preference – you can view these adjustments directly on your screen. The Paytronic coinbox is easy to use and very reliable. To start the tanning device users can insert a coin in the slot and the machine will start. 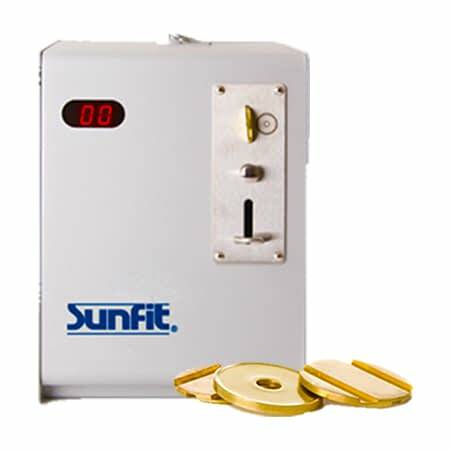 The Sunfit Coins have been designed specially to match the Sunfit Paytronic system. 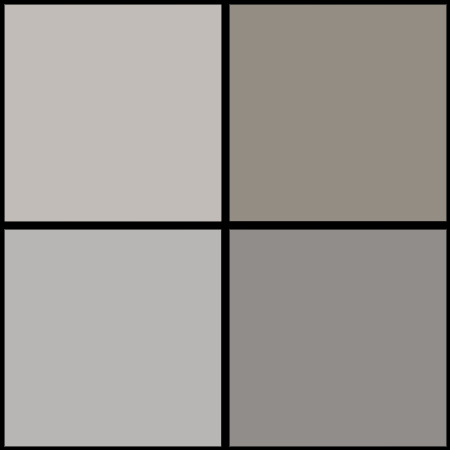 There are three different coins available for you to choose from. Ask our Sales Department for more information! With the Wireless Management System, you can manage all your tanning devices from just one computer, giving you access to all users and their session times. It is easy to install, plug in and play no other cables or sockets required. 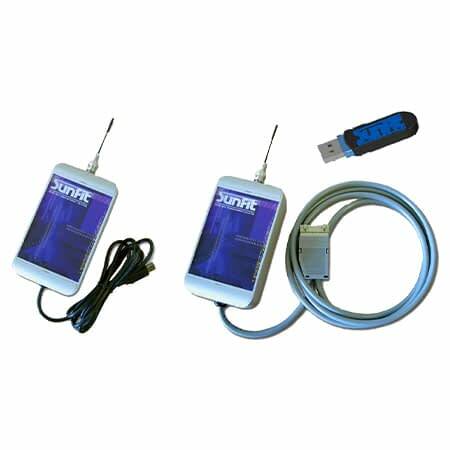 You can add a password to the system and add additional receivers at all times. Also, you can use the Wireless Management System for device other than from Ultrasun. In just a few clicks you can wirelessly manage up to 8 devices.